On Sunday, I looked out my bedroom window and saw a huge mosquito. I was so relieved that it was on the outside of the window. Even here in Phoenix with our sunny dry desert climate, we still get those pesky little pistols that seem to find me and my daughter especially tasty. I immediately thought of the dreaded Zika virus when I saw that uninvited pest and felt happy that pregnancy is in my past and not in any of my immediate family members’ near future. But I am still worried about this virus and the potential of contracting it with every mosquito that I know we will soon see more and more. If you’ve seen or read any news over the last few weeks, chances are pretty high you’ve heard something about the Zika virus. But how much do you really know or do you need to know? According to the CDC, the virus has had no locally active transmissions in the continental United States. However, the rate at which Zika has spread in countries just south of the border is certainly a cause for concern. We anticipate Zika virus will be in Arizona, probably by summer. It’s already in California, New Mexico and Texas, so Arizona is a logical next stop. The primary way someone may be infected by the virus is from a mosquito bite. There have also been recent reports of the virus spreading through blood or sexual contact. Living in a transient community like Arizona that attracts many visitors from around the globe, the spread of the Zika virus is not news we should ignore. So what can be done to prevent any possibility of a localized infection as mosquito season approaches? Regularly check your yard and the perimeter of your home and take note of any trouble spots of water accumulation. Areas around air conditioning units where condensation can form or drip lines, valve boxes for sprinklers, leaky hose bibs, bird baths, pool or spa pumps, watering cans, potted plants with bottom dishes, and shrub and garden beds are all areas where sitting water can commonly be found. It only takes an eighth of an inch of standing water plus a rise in temperatures (which is inevitable in Arizona) for mosquitoes to appear. When you do discover standing water, treat these moist areas with natural bacteria that will consume the mosquito larvae. Avoid playing or hanging out in the grass or near shrub areas at dawn or dusk. If you are going to be outdoors during the early morning or evening, wear long sleeved clothing and pants. Also remember to wear insect repellent, and look for products with DEET and/or Picaridin. Better yet, get both. 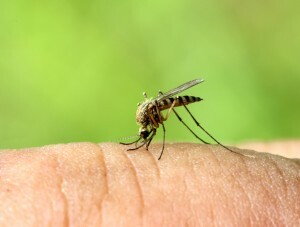 Consider hanging a chemical-free, low-voltage electric repellant on or around your patio to naturally ward off mosquitos in and around backyard areas. These nifty tools can effectively control up to an acre! Treat shrubs, lawn, under awnings, on patio columns, and walls with a permethrin liquid spray. Using a hose-end sprayer will speed things up. Repeat as necessary, up to every two weeks. Use a pyrethrin aerosol spray, which is safe to use indoors, to keep away any mosquitos that occasionally get through doors, windows and cracks. These can deliver a lot of sprays for continued use, and are safe for people and pets. 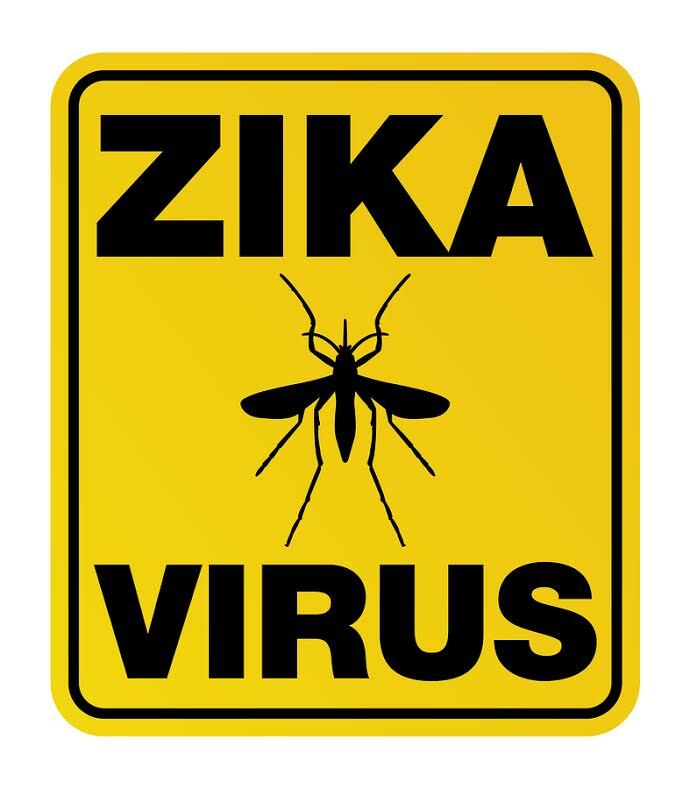 If you are planning a vacation, avoid travel to Zika-identified countries (Remember to check back to the CDC website for up-to-date info). This is especially important if you are pregnant, as the virus has been known to cause birth defects when a mother passes the virus on to her unborn child. The intention here is not meant to cause panic, but to help with prevention and protection. Jim LaBrie is a father and grandfather and the owner of Bug & Weed Mart, a do-it-yourself retail store that specializes in bug and weed prevention, with five location. To learn more about pest prevention and protection you can visit www.bugweedmart.com or on Facebook www.facebook.com/bugandweedmart.